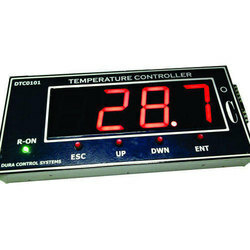 Manufacturer and supplier of Digital Controller. 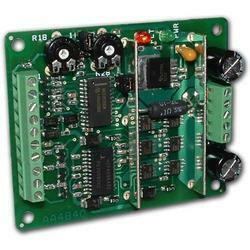 Our product range includes Digital I/O Controller, Relay Module and Digital Multiplexer. These offer economical substitute against PLC based automation, as the latter proves to be costly. 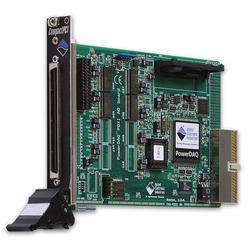 Our range of Digital I/O Controller is acknowledged for reliability, effective functionality and performance. We offer customized operating interface that allows easy learning and manipulation, whenever required. We welcome queries from Tamil Nadu including Chennai, Madras, Coimbatore, Kanyakumari, Nilgiris, Tirupur, Vellore, etc. We are a leading supplier and manufacturer of broad assortment of high quality Digital Temperature Controller to our well-esteemed clients. This device is fabricated by using fine quality raw components that are procured from a reputed vendor. Advanced technologies are used for manufacturing this product. The quality of product is checked under the strict supervision of the team of professionals in order to ensure fine quality product. International quality standards are maintained. We are the chief producers and suppliers of various types of high end Automation Equipments. Our company is pleased to provide our valuable clients with Mini Logic Controller, which is produced out of high grade components and with the help of high end technologies. Our product is very easy to use. It is used for uncomplicated automation functions. The affordable products are programmed in the factory and have one frequency input, 6 logical inputs and 4 relay outputs. We provide customized solutions to our clients. We are the market leaders, as far as the production and supplying of different types of Digital Controller are concerned. We are proud to provide our clients with Digital Input and Output Controller, in which highly advanced technologies are incorporated. The product is used for application of low level automation, including Press machines. The products are very much cost effective. They perform their tasks efficiently and fast. Our company offers excellent interface for the operation of the reliable products.